Last week’s roundup was definitely not corny at all. Okay, maybe a little bit (or quite). On the more serious side of things now, and we noticed that we covered almost every part of a desktop computer from all of our roundups in the past. Video cards were no doubtingly a popular topic, especially with new releases from the two graphics giants. Well, it’s Motherboards (who calls them mainboards?) this week and we have a mix of platforms for both the first and second generation Intel Core chips as well as several others (we’re not leaving you out AMD!). We decided to have a little variety since many retailers listed several “older” parts as an opportunity to clear out inventory when Intel had the recall, but good news is that we’re seeing revised boards now and it looks like MSI was one of the first out the door with them. 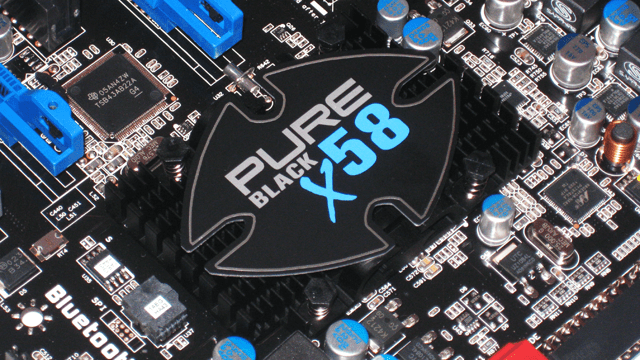 Something we’d like to bring your attention to are the Sapphire Pure Black boards (X58 and P67), as they’re not among the usual suspects that bring motherboards to market but it looks like they’re introducing quite unique products (P.S. we love the bold color scheme) since having acquired EVGA’s design team. UPDATE: Threw in a couple more reviews, enjoy! It all stacks up to quite a bit of RAM! With Intel’s highly anticipated P67 chipset boards featuring the Sandy Bridge processors coming after the start of 2011, a brand new level of memory capacity is to be introduced. 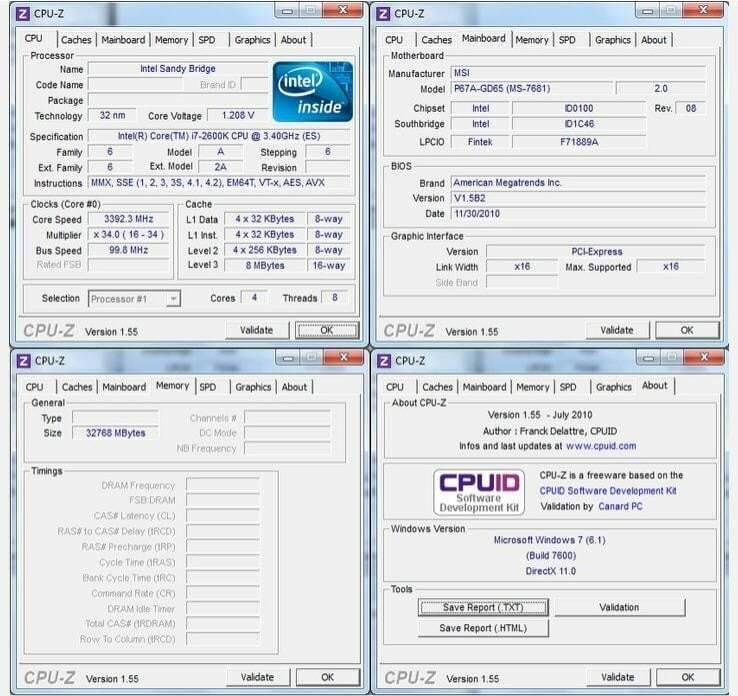 Boards will still use a standard four slot, dual channel setup however screenshots (below) of CPU-Z shows a MSI P67A-GD65 with a total of 32GB memory. This means that all four slots can in fact take high density 8GB modules. 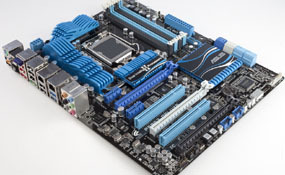 Another thing to keep an eye out for is that there’ll be LGA 2011 boards that will have 8 slots that may be able to max out with 64GB of memory. That will make current standards look like nothing! So we saw earlier what ASUS was planning with in terms of the software back end (UEFI) that will be shipping on all the Sandy Bridge motherboards. Now there’s new first shots of these boards, and they look fantastic – we’re not so inclined about the “Tactical Jacket” that’s going to be on the Sabertooth P67 though. The design supposedly enhances airflow throughout the entire board, and helps cools other regions as well. Otherwise the TUF series lives up to their reputation, offering an extended 5-year warranty, military-grade components, and a ton of sensors. 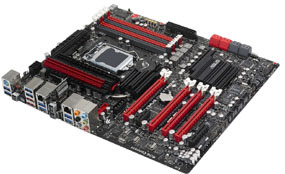 Also to mention that nearly all of ASUS’s upcoming motherboards will have USB 3.0 and Bluetooth as standard features. Check out some pics we have below (via HotHardware), you’ll probably notice which stands out the most (if you have no idea, it’s the bottom right one). 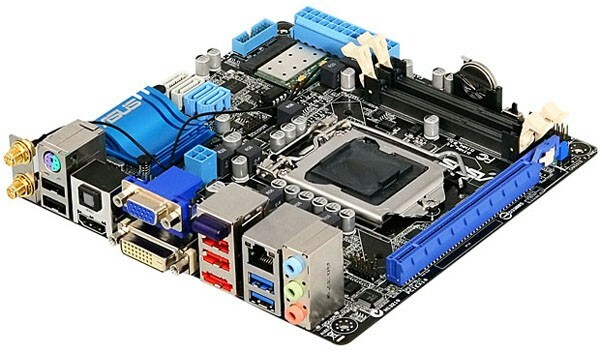 There’s also a Mini-ITX board (P8P67-I) they’ll be launching that’s worth a mention, and it comes packed with a whole range of items on-board except full-sized DIMM slots. We also picked out some reasonable to extensive coverage on this lineup, for your convenience sake. 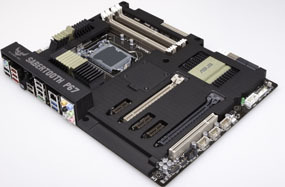 Slated for early next year, Gigabyte already has a handful (eight to be exact, take a glimpse at all of them over at PCSTATS.com) of boards ready with the P67 and H67 chipsets that will be compatible with Intel’s currently non-existent Sandy-Bridge CPUs. 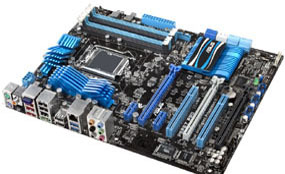 This mid-range line all feature the LGA1155 socket (having support for the 32nm manufacturing process processors), bears Gigabyte’s trademark Ultra Durable 3 copper PCB, takes DDR3 RAM of speeds up to 2200MHz, have two USB 3.0 ports, dual PCIe 16x slots with CrossfireX capability (no mention of SLI), and includes four SATA III 6Gbps ports (only three for the mATX version). Here are a few – we totally admire the classy new black PCB design for the P67A-UD3R, making it comparable with other high-end boards. Check out pictures of the other two motherboards below, the P67A-UD3 (no RAID, sadly) and H67MA-UD2H (with no PCI slots at all).